Filmmaker and automobile collector/builder James Glickenhaus’ team at Scuderia Cameron Glickenhaus just unveiled its new SCG 007 LMP1, a vehicle that the company hopes will win Le Mans. To help accomplish that, SCG says it hopes to make some money selling road legal versions. 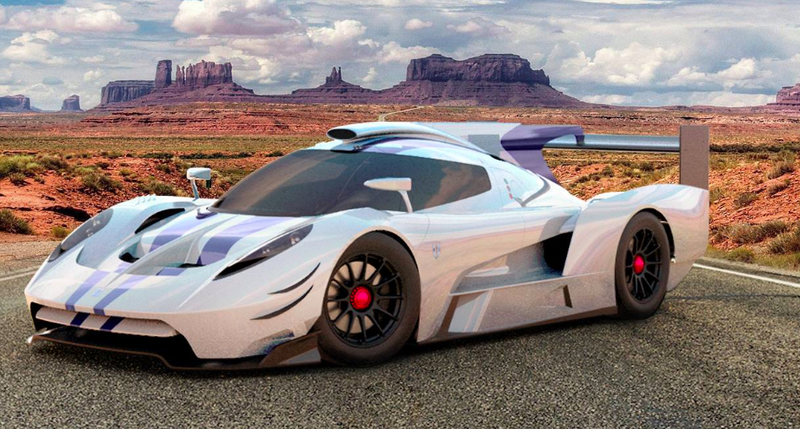 “This is for America” the company writes in its Facebook post unveiling the new SCG 007 LMP1 design. Scuderia Cameron Glickenhaus says it plans to offer 25 road legal versions of the car in an effort to fund the group’s Le Mans program, presumably running in the new hypercar class, set to start in 2020. Pricing for this car—which, frankly, looks like just a digital rendering at this point—is apparently still not set in stone, but SCG guesses it’ll be about $1 million. “It’s been 50 years since a car built in America finished First Overall at Le Mans. We aim to change that,” the fiery post concludes. There are no engine, transmission, curb weight or any other specs on the car, so we’ll have to wait and see what this thing ends up becoming. It’s just one of a number of SCG’s recently shown projects aimed to crank up the group’s racing presence. We’ll see how a completed model looks; if it bears any resemblance to these renderings, then I’m a fan.